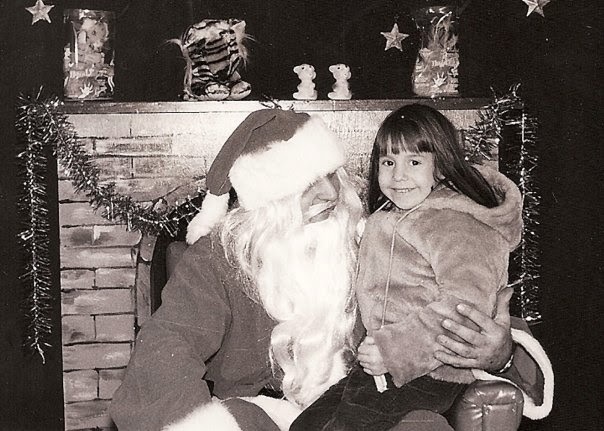 Remember Christmas in the 1960’s? Back when most people had real Christmas trees (or those aluminum ones) and decorated them with colored lights and lots of tinsel? I used to sit in front of the tree at night, in my little white rocking chair, and stare up at the lights, thinking about Christmas morning. Santa usually brought what I had asked for (up until 1971, that is), and then he would add a surprise or two. My favorite Christmas present of all time was my Easy Bake Oven. For those unfamiliar with this, it used a light bulb to bake the cake! Back in the day (I can’t believe I’m old enough to say this), back when most moms did not work and most families only had one car, we got presents twice a year: on our birthdays and at Christmas. There was a third occasion that was especially wonderful, and that was when our Aunt Cecelia would visit from California. She always brought us presents wrapped in colored tissue paper and several boxes of See’s Candy! But other than that, if we wanted something special, like a bicycle or an Easy Bake Oven, we had to wait for Christmas or our birthday. Once I had given my letter to Santa to my mom so she could post it to the North Pole, I would think about Christmas morning constantly. I could not wait to receive whatever I coveted that particular year. I think this longing made the presents extra special, don’t you? When my children were young, I tried to do the same thing, but I never quite managed to surprise them as I hoped. The problem was, I believe, that presents are no longer special. If kids want something these days, they get it immediately. My kids were never made to wait until Christmas, in spite of my lobbying. Every year around October, it would seem that Guido would want something, and I would say “you have to wait until Christmas!” But Billy, being the softy that he was, would buy it early and call it a Christmas present. I don’t think that counts at all. There was something about opening the gift on Christmas morning that made it special. Once or twice I even took the item and wrapped it up after it was received so that it could be opened again on Christmas. But of course, without the suspense and longing, it just wasn’t the same. It’s just that Christmas has lost its magic for me. 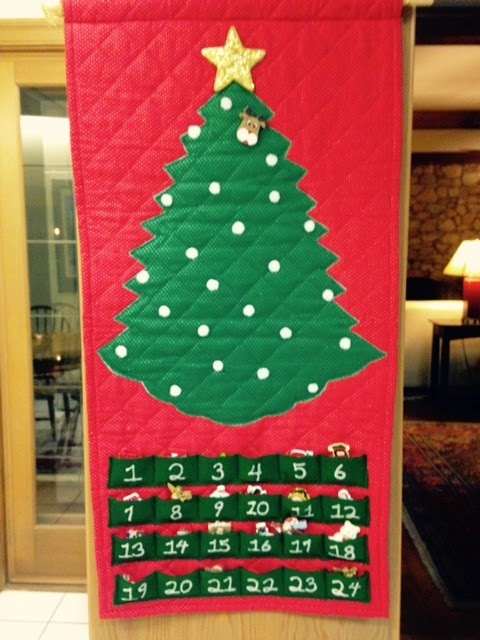 My sister made a gorgeous advent calendar that I hang every year. When the kids were young, they loved to put the ornaments on the advent tree. Now they can’t be bothered. I guess that’s what grandkids are for! Right, Joy T. and Kathy F.? I can’t wait! Then, hopefully Christmas will be special again. In the meantime, I find Christmas magic in the Nutcracker ballet and my brother-in-law’s world-famous (they really are) Christmas lights. 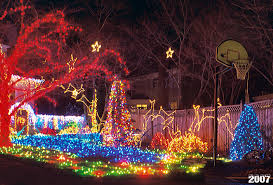 You can view them here (Collingwood Lights), but better yet, you should see them in person. He lives at 1801 Collingwood Road in south Alexandria, Virginia. You can visit his website, Collingwood Lights, for directions and links to more pictures and videos. This entry was posted in Not the Brady Bunch and tagged Christmas, family by Renata Manzo Scruggs. Bookmark the permalink.